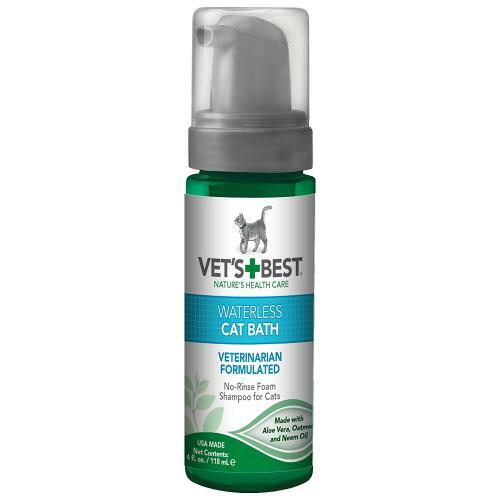 Vets Best Waterless Cat Bath Shampoo is a gentle blend of naturally based cleansers that comes complete with a calming fragrance and acts as a soothing cleanser and moisturiser for skin and fur. The special formula works without affecting flea control products and is suitable for cats over 12 weeks old. For best results dispense a small amount of waterless bath foam onto the palm of your hand and gently stroke into fur and skin and use as part of your regular petting process.